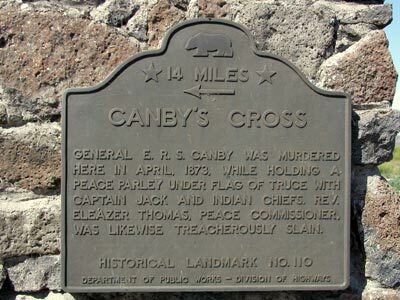 General E. R. S. Canby was murdered here in April, 1873, while holding a peace parley under flag of truce wuth Captain Jack and Indian chiefs. Rev. Eleazer Thomas, Peace Commissioner, was likewise treacherously slain. 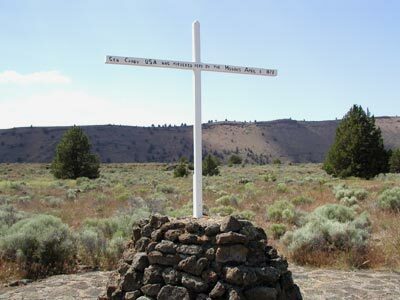 Lava Beds National Monument, 0.5 mi E of N entrance, 8.3 mi S of Tule Lake. Plaques located at SE and NW corners of the intersection of Hwy 139 (PM 44) and Co Rd 141, Newell.